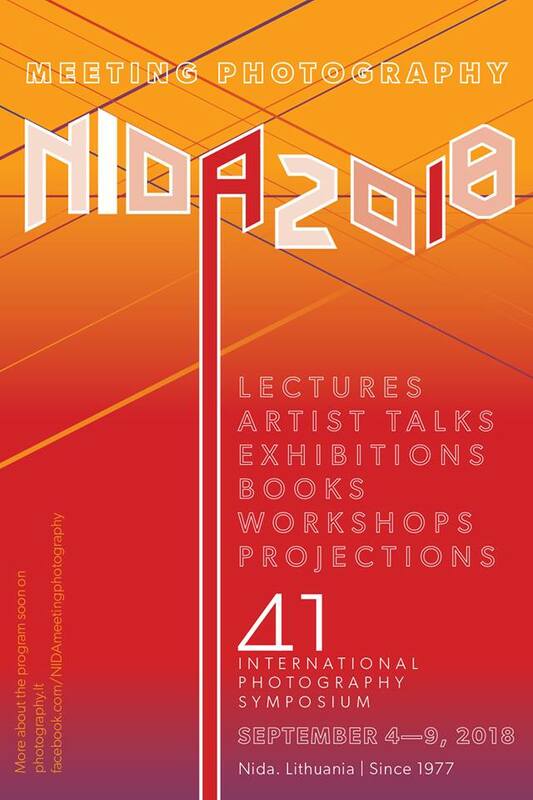 place during the International Photography Symposium “Nida 2018: Meeting Photography”. A photography competition Photographing Nida is organized together with the Nida Culture and Tourism Information Centre. One photographer will be awarded a Neringa Mayor Prize. 12.00 Tomas Pabedinskas. Restless travelers: personal album or “national heritage”? 22.00 Evening projections by the Lighthouse of Neringa. 12.00 Discussion. Where does the gallery start and when does it end? Moderator Aistė Kisarauskaitė (Home-Gallery “Trivium”). Participating: Vilma Mačianskaitė (Contour Art gallery, Vilnius), Tal Nisim (Indie Photography Group Gallery, Israel), Gintaras Česonis (Kaunas Gallery, Lithuanian Photography Association), Dainius Liškevičius (Vitrina Gallery, Vilnius). Sunday, Sept. 9. Klaipėda exhibitions and event. Retrospective photography exibition of Aleksandras Dapkevičius “Based on the real world” . Curator – Danguolė Ruškienė. Exhibition will take place in Klaipėda District Public Library of I.Simonaitytė gallery “13 L” from 30th of August till 29th of September. Group Photography Exhibition “Chronometers”. Participating: Remigijus Treigys, Dainius Liškevičius, Algimantas Kunčius, Coolturistės, Aurelija Maknytė, Eglė Ridikaitė, Liudas Parulskis, Aleksas Andriuškevičius, Ričardas Šileika, Ginrautas Trimakas, Valentyn Odnoviun, Remigijus Pačėsa ir kt. Curators: Agnė Narušytė and Gintaras Zinkevičius. Special preview of the exposition with curators September 9th at 2 p.m. and 4 p.m.
Every day from Sept. 5th to 8th at 11.45 – 14.00 you will be able to take a picture at Ričardas Šileika improvised studio next to Nida culture and tourism information center “Agila”, Taikos str. 4. Photobooks will be sold in Nida cultural center “Agila” (Taikos str. 4) through the event. The info-center will be located at the same place. FREE ENTRANCE for members of Lithuanian Photographers Association, students of Photography and Media departments (have a valid student card), Neringa citizens. The event has the ENTRANCE FEE – 30 euros. All tickets you can buy after registering in this on-line form. The entrance fee during the event will increase to 40 euros (payments accepted just in cash). Day tickets will not be issued. Tickets for participants of the workshops (except Elina Brotherus) will cost 45 euros and for students – 15 euros. Please send your ticket copy to register to your chosen workshop to gintare@kaunasgallery.lt Registration deadline for workshops 2018 08 19. FOR STUDENTS: please come with a list of your group. It will make the registration process much easier. IMPORTANT! On arrival to the event you need to be accredited (Nida KTIC „Agila“, Taikos str. 4) and take your bracelet. Please have valid student or other ID’s. You can do that September 4th 1.00 p.m. to 5.00 p.m., September 5th at the info center in Nida KTIC „Agila“. If you arrive later please go directly to the info-center. As a participant you can enter all events: lectures, workshops (if registered), artist talks, film screenings, opening/closing parties. Restaurants and cafes marked in a printed program will have discounts for food and drinks (with accreditation bracelet).